A few snaps from a morning at the Den (M5s & L5s) and afternoon at Culford (L2s) here. The Dragons 1s went in to Saturday’s match eager to secure 3 points and push the team up in to 3rd position. Whilst neither promotion nor relegation were in store, the team wanted to finish the season as strongly as possible. Old Loughts are in the lower half of the table and a win was definitely on the cards. The ladies started strongly, with the Norwich team dominating play. A penalty corner early on almost fell to Hannah Phillips, but it was not to be. The Dragons looked to be in control though, maintaining some excellent periods of passing play between Marie James, Sophie Mullan and Phillips in the middle of the pitch. Unfortunately, the Dragons were caught on the break and Old Loughts took advantage, putting one goal past Siobhan Cleeve in goal. It was against the run of play and Dragons knew they could fight back. With the inimitable Sarah Jenkins controlling affairs at the back and Sophie Mullan running rings around the midfield, the Dragons were controlling play again. An excellent ball sent up the line from Lou Murray resulted in a 16 yard hit out and the Dragons formed their ring of steel around the opposition. The ball fell to Liv Leary who shot from the top of D and managed to find the back of the goal. 1-1. Old Loughts fought back and found their way through the Dragons defence on a couple of occasions. Siobhan Cleeve kept the home team in it with some outstanding saves, including a lifted shot that she saved, despite being unsighted. Throughout the season, the defence has remained calm in the face of adversity and this match was no exception. They swiftly dealt with the opposition’s marauding runs and at half time, the score was 1-1. The second half was largely a frustrating affair. Aoife Lowe Davies was splendid up front, driving the base line and causing trouble for the Old Loughts’ defence. It was one such run that led to the ball being cleared off the goal line by the opposition’s feet. A penalty flick was awarded and Holly Reding bravely stepped forward. Despite sending the ball with great power in to the bottom right corner, the keeper saved it and the score remained equal. Stacey Lee, Hayley Toleman and Lowe Davies combined brilliantly up front and they created several chances; it was not to be though and the goal just would not come. At the final whistle, the score remained 1-1 and the Ladies Dragons sit in 5th position, with one game in hand. A win at St Albans next week, in the final match of the season, would see them rise to 4th. Arriving at Culford in good time, despite a detour into Thetford town centre (just a few minutes away from Culford), the Dragons Dozen were ready for action! With Captain Karen off ‘on the piste’, the team knew that a win was the only result to keep any lingering hopes of survival alive. They welcomed Jess Bennett back into the squad after a lengthy absence, alongside the returning Issy Wolfe. After a good warm-up in the ‘walled garden’, the team stepped out, in their attacking formation, knowing what they needed to do. The early encounters were quite even, with Bury St Edmunds attacking down both flanks and putting pressure on the Dragons back 3 of Donna Vaughan, Sarah Borrett and Rowie York Smith, however with some strong defending the score remained goalless. Dragons starting to find their passing game, with Shelly Seaman feeding the wide midfielders Gail Thomas, Kiera Goymour and Helen Busfield – all of whom were having fine games in the wide positions, both breaking down play well and feeding the runs of the forwards. The visitors earned a number of short corners, but failed to capitalise, despite some decent efforts. Dragons were in the ascendancy and eventually they got their rewards – a long through ball from Donna Vaughan on 20 minutes flew deep into Bury territory. Bury looked to move the ball around the back, however Hannah Hardy pounced on some slight hesitation in the D and fired the ball under the Keeper for a deserved lead. Half time call was for more of the same, with a view to keeping their patience and taking a bit more time on the ball. Dragons knew the game was theirs for the taking and within a minute of the restart, Donna Vaughan stepped forward for a short corner, gliding past two outcoming defenders before blasting home. From then on it was all Dragons. Laura Ward, Jessica Bennett and Issy Wolfe were causing the home defence problems, with some great attacking play. More short corners came and went, despite some good efforts from Dragons. After 8 minutes of the half, the lively Laura Ward was fed by another Donna Vaughan rocket – with plenty still to do, Ward drove from beyond the 25, beating a number of defenders with sheer pace, and firing confidently past the keeper for a third. Defensively Dragons remained alert, but for Keeper Emma Cleland, who has been in good form in recent matches, it was a relatively quiet game in the sunshine! The final goal came with 15 mins remaining; a fine team goal with Gail Thomas breaking down play on the left, finding Rowie York Smith who won a free hit, took it quickly with a neat lifted pass into Issy Wolfe. With work to do, the impressive Wolfe drove into the D and fired a strong forehand strike at a good height goalwards, where Ward was on hand with a deft touch at height, to glance past the keeper, for her 10th goal in 6 games. The visitors could have scored more, however the final whistle went, the 3pts were secured……..alas other results had conspired against Dragons who were relegated and on goal difference. Players of the match were Laura Ward, Gail Thomas and Hannah Hardy. Special mention goes to the umpires, who umpired the game excellently. Whilst disappointing not to have survived, the team have given it their all – especially since Christmas and know had a couple of results not gone against them, they could have remained in this league. The team vow to bounce back and work harder still, to force their way back stronger than ever next season. A big thanks to all who have helped the team this season – Coaches Peter Thomas and Richard Gill for their encouragement, expertise and guidance, Mike Hardy for his invaluable sideline support and to Captain Karen O’Neill Simpson for all her dedication, commitment and passion for the Team. The final game for the Dragon’s Ladies’3s was played at Taverham against City 4s. City had a young side out who were well drilled with plentiful pace up front, giving the Dragon’s defence of Carmel Windsor-Waite, Sarah Wagstaff, Angela Murgatroyd and Natasha Falzon plenty of sprinting practice. Dragons struggled with the City press, and were forced to try and play the long ball up the middle of the pitch, all too often losing possession in the process. The bright evening sunshine made it quite difficult to see at times, and it was City who benefited 20 minutes into the first half, scoring in free play. Unlike the previous match against Dereham, the Dragons struggled to find the passing accuracy necessary to build play for extended periods and penetrate the opposition’s D, but managed to hold the score at 1-0 for the half time break. The Dragons’ shape improved throughout the second half, making more use of the width of the pitch. Sam Franklin and Katie McKenna made good progress up the wings, and the visitors eventually gained a penalty corner. A straight strike from the top of the D by Caroline Wolfe was unfortunately stopped from crossing the line on the right hand post by a Dragon’s stick! The goalmouth scramble that followed was eventually cleared by the City defence. This was the closest Dragons got to testing the City goalkeeper. Dragons’ goal keeper and player of the match, Kristina Smyth, made several quality saves throughout the game, but couldn’t prevent City from extending their lead in the second half to 2-00. Dragons could do nothing more to change that before the full time whistle. Despite the 2-0 loss, the third team finished a healthy third place in the Empresa Norfolk Premier Division, with the fewest goals (only 16) let in by any team. This was a top of the table challenge, both teams on same points but Lowestoft have a greater goal difference. The 5’s were on a 7 game unbeaten run but were beaten by Lowestoft when last played. It was extremely hot and it didn’t take long for the base layers to come off. Jason Wolfe was on hand for tactical advice, and had been putting us through hard graft at training. Lowestoft came out of the blocks fast and with the sun on our backs the 5’s started to find their feet. The ball was end to end and our defence of Jemima Williams, Lou Davis, Amelia Smith and Katie Franks were holding strong picking off any Lowestoft attacks. Our midfield were clearing the ball our wide up from Vicki Earley, to Neeps (Lynne Price) and out to the speedy wingers who rotated through Catherine Matthews, Rachael Matthews, Helen Marsh and Laura Hansell. Lowestoft were on constant attack trying to pressurise to pick up any stray balls. The 5’s were keeping pace even under tropical conditions and were continuing the battle. The first goal was from Lowestoft a charge through into the D and scrabble over the line. The Dragons took the challenge and surged forward, ball passed into the D from Aditi Naik, slotted into the keeper from Lucy Buxton, rebound picked up by Lisa Harwood and finally pushed into the back of the D by Amy Forse. Luisa Valentini our nimble and energetic keeper got to see some action and was quick to command and clear the ball on Lowestoft’s charges, which the 5’s were now picking off higher up the pitch. At half time, Sarah Wagstaff was giving us words of wisdom and Jason’s plan for the second half was put into action. The 5’s got stuck into this half and were giving Lowestoft a good battle. The forwards were pressurising the keeper but unable to convert, trying a few different tactics on short corners, the next goal came from well qualified Neeps, a strike into goal, that rolled up over the keeper into the back of goal. Unfortunately, Lowestoft were not downbeat and kept the tussle going with another goal. In the last 10 minutes the Dragons were fighting hard trying for that additional goal but it did not come and the game finished 2-2. The 5’s have been truly excellent this season after only being promoted last season, they have shown true grit and their competitive nature by battling their way up to the top of this league. Sadly a few faithful’s are leaving us behind for University this year, many thanks for their positive attitudes and energy – Rachael Matthews, Laura Hansell, Helen Marsh and Katie Franks. Dragons 7s were pleased that they had a bright sunny spring day for their final match of the season away against Carrow 2. Having won the toss and chosen to have first push back, Dragons dominated from the start, although Carrow weren’t letting them have an easy ride. Laura McNally had her debut for the 7s and made a great impression in left midfield, stopping the ball and pushing up with the other mids to reach the forwards. Floss Andrews had a brilliant match at top of the diamond, proving herself to be such an asset to the team, always supportive and directing play, dropping back to allow bottom of the diamond Claire Fairhurst to push forward when needed. Her excellent play earned her a fully deserved unanimous POM. Maisie Dearmer in right mid was always in the right place, intercepting the ball and moving it up the pitch. The midfield were supported by the defence of Emma North, Katy Saide and Hattie Gale, all of who proved invaluable at stopping the ball getting through to keeper Alessandra Pellegrini. The forwards of Jess Vernon, Claire Stuart, Kelly Mills and Katie Moulson worked hard in Carrow’s D, having multiple attacks on goal which Carrow stopped time and again. However Claire Stuart got one past the keeper giving Dragons the lead in the first half. At half time Dragons were reminded to keep their shape, be first to the ball and to mark the opposition, and started the second half much tighter. 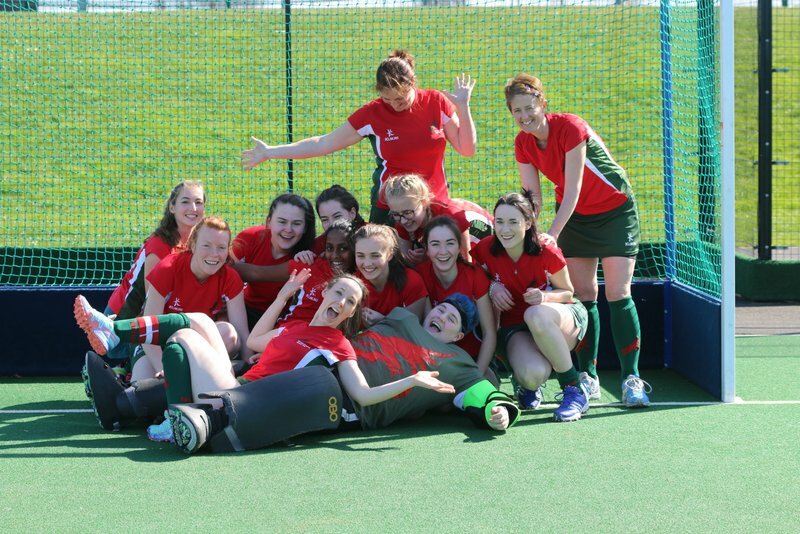 Dragons persistence was rewarded, as Jess and then Floss each scored lovely solid goals. Carrow didn’t give up and kept pressing, eventually getting through and were awarded a short corner from which they managed to score. Dragons carried on fighting, with the match ending on a short corner for Dragons. Everyone pushed up but another goal wasn’t to be. Dragons were pleased with the final score of 3:1, knowing this had achieved their final placing of third in the league division. Well played ladies, another great season of fabulous hockey! Bring on the next one! What a match! It was, it has to be said, a little on the rough side but this time the awesome 8s truly battled. Each player gave everything she could, and we got a few more balls into the attacking circle. If anyone can explain why the 8s went down by 3 goals to the bottom team last week, and by the same score this week to a team close to promotion, then you will have solved the mystery of this unusual team. The early exchanges were even, with the Dragons defence repelling all the raids. Jo Baker was in the centre upping the strength of her tackles this week. Anna Chapman returned to left back and was much more confident in that position, and Johanne Steward was also on her best form at right back. Bridget Le Good was at bottom of the diamond and played carefully as medically advised to avoid further risk to the hairline fracture on her cheek. But having been the first Dragon to be upended by a hook stick tackle, she reverted to normal play and her strong hitting found Gem Ballard on the left, who was able to make plenty of progress down the wing and across the park, and to Sophie Drew on the right. Sophie, who dropped into right mid, made some fabulous runs on the right and was POM. Her accurate passes also found Lois Metcalfe, Nic Harrison and Katy Cole and they were able to make progress up the field without quite penetrating the circle early on, but better was to come. Lois, Nic, Katy and Sophie also experienced the hook stick tackle treatment and the umpires issued a general warning about stick tackles. But after some close calls it was Helen Walker’s turn for the bloodbath when a high ball from a free hit split her lip. It brought her game to an end, which was a great shame because Helen had shown a good turn of foot and plenty of tackles in midfield, which is what the 8s really needed. Fortunately Dr Bond was on hand to administer first aid – the 8s never go anywhere without a personal GP in attendance – and this week the 8s were determined not to be distracted. When Helen went off, the 8s reverted to having Bondy and Bridge at the bottom of the diamond, and this reduced UEA’s attack considerably and no more goals were scored. Another pleasing aspect of the 8s game this week was that they were much more comfortable about being versatile. Nic played across midfield; Tracey Stuart-Sheppard was very effective in top and bottom of diamond, and Liberty Townsend returned to get some more hockey experience at adult level. UEA had several nippy players and were another team who tended to make Dragons look slow in getting to the ball. Some slick passing enabled them to break through and score two good goals. Their third came after one of their players kicked the ball twice in the circle, and while Dragons hesitated UEA scored. This was very frustrating because Emily Roper had a fine game in goal and blocked loads of shots. The 8s had another good spell towards the end of the second half. Lois was holding up play on the edge of the circle to enable Gemma, Sophie and Katy to get into good positions. Dragons won some penalty corners, and Lois and Gem had shots on target, and Katy made some penetrating crosses The ‘nearly’ shorty came after Bridget injected, Lois stopped, Gem shot and Bridge pounced on the rebound and the ball flashed inches wide. Meanwhile, Jo, Johanne, Anna and Bondy were making the defence look more secure at the back than it has done for several games. Yes, the 8s could still do with improving their ‘first to the ball’ and tighten their general marking, but this week the team generally had more confidence in each other, and captain Katy said she was proud and pleased. Very, very pleased. We had Mr Cole timekeeping the subs, and poor old Brooksy (injured in training and much missed) managed the subs. After a rather fractious game, which could have boiled over, both team went back for a fabulous tea and fun. The Dragons brought in cakes – hard to choose between Jo Nigella Baker’s chocolate monster with fondant Brian and Dragon eggs; Helen Mary Berry Walker’s lemon drizzle; Katy Davina McCall Cole’s sugar-free sponge with fruit and there were many more. The students came in with a Mexican feast and provided entertainment by drinking pints through (still warm) hockey socks. A great way to end the season. We played as hard as we could and we can’t wait for summer hockey to prove we are improving. We will be a team to be reckoned with next season. Although Division 7NE officially finished two weeks ago due to the lower numbers of participant clubs compared to other leagues, the Dragons 6th team were able to play a final game of the season on the final day of the season thanks to, returning from holiday Captain, Mike Banham and Andrew Cross in arranging a match against 7NE league champions Bury St Edmunds 6. This was held at Culford School in glorious sunshine which put a definite spring in everyone’s step in spite of a breeze not quite matching up in temperature. Due to availability and also with one eye on next season, the 6s took a young squad which included some of the players who had made a breakthrough into regularly playing adult hockey this season and two who were making their debut in the adult game. An analysis of our starting eleven showed that the forward pair and midfield (three of four…) were 16 or below with our wingers Harry Brown and Toby Campbell being the two development team players who were making their debut in adult hockey. The others in the forward half of the pitch, Tommy Chapman, Ed Crosier, Harrison Richards and your scribe (not included in the younger generation, I’m afraid) had played in the 6s squad for the whole season and were now showing a great deal of potential for 2017-2018. The defensive line was made up from a mixture of youth and experience, with James Hansell, Jack Carpenter (developing into a good utility player) and Alex Riddoch, being partnered by the experience of Ray Hansell and Mike Banham. This balance throughout the team, not forgetting our young but skilful goalkeeper, James King would finish off the season showing that the Dragons 6 team has a lot of potential for the coming season. Having played Bury 6s a number of times this year we knew that they were going to be a well organised team who would be able to take advantage of any breakdown in play or lost possession by us. We also had the record of not being beaten by them all season. The three previous games having been draws of various scorecards; 1-1, 2-2 and 3-3. From the off, Dragons 6 took advantage of the speed of our younger players and strung together numerous periods of play that involved good vison around the pitch and some great cross pitch switching of the ball which allowed our extra speed to break through the Bury midfield and penetrate into their circle. It was these attacks that culminated in Dragons 6s opening the scoring after 15 minutes. The ball was played out from our own circle by Mike Banham and picked up in midfield. The movement and consistent holding of shape by the midfield and forward line allowed this to develop into another penetrating run down the right wing, the sort of which both Toby Campbell and Harry Brown had been making all game, which resulted in the ball being played into the Bury circle. After picking the ball up, Harrison Richards beat two Bury defenders to play the shot in on goal which was happily received and converted by Tommy Chapman. A happy coincidence considering Tommy’s last visit to Culford ended with a cut lip after a hard tackle. This time it was something to celebrate. As expected from the league champions, Bury came straight back at us and after a period of cat and mouse in the centre of the pitch they were able to break though and equalise. The dragons defence and goal keeper doing all they could to neutralise the threat but the Bury striker was able to work into the goal mouth and score from close range bringing the tally back to 1-1. A half time team talk emphasised the excellent play that we were creating and no real changes in tactic were required. The whole squad knew their jobs and were carrying them out to the best of their abilities. The skills they individually and collectively have, proving a match for Bury and this was to be shown by the outcome of the second half. Much as the first half had shown, the young Dragons 6 squad and debuting players, very evenly match the older but more experienced Bury team. The second half was a close fought affair with both teams sharing the action. Some great vison from members of the Dragons 6s saw wide open play using the full width of the pitch and baseline, and it was only the persistence of the Bury defence and goalkeeper that stopped us scoring again to take the lead. At the Dragons goal end, our defence did sterling work in cutting out the Bury attacks with James Hansell especially making a great effort in both defence, and playing the ball out into the middle third, to open up the Bury midfield. 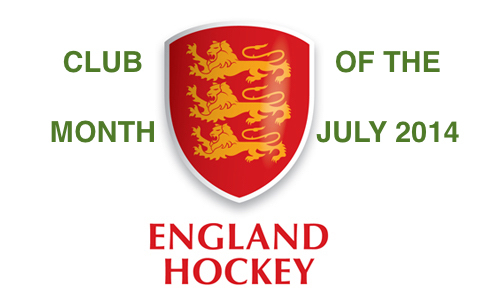 This was recognised by the team at teas afterwards and voted James Hansell, Man of the Match. At the whistle the game ended in a fair reflection of the contest, with the final score of Bury St Edmunds 6 1-1 Norwich Dragons 6. The game was played with an excellent attitude and sprint and both teams should be commended for making this a fitting and satisfying end to the 2016-2017 season. For Bury 6, they now move up to division 6NE and will be playing our Dragons 5 team next year. For the Dragons 6s, we have some great young players both in the squad currently and moving up from the Development Boys squad next year, with potential to make a great combination for next season. 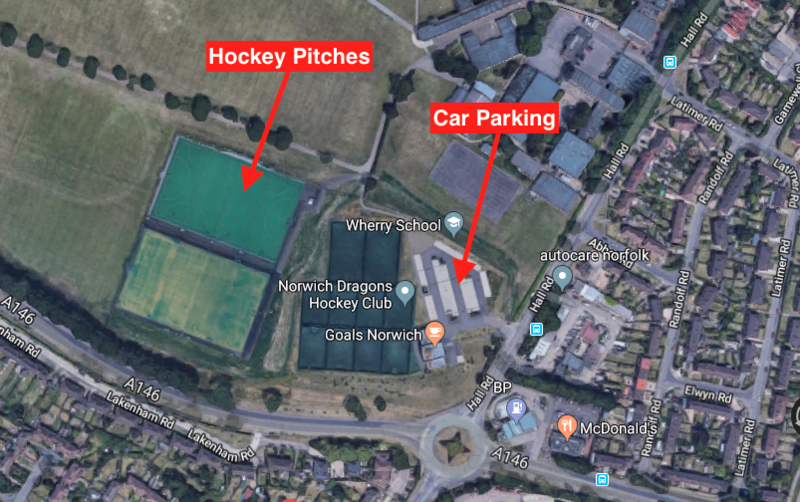 Coupling that with the experience of players like Mike Banham and Ray Hansell mentoring their progress, the future looks rosy for the Norwich Dragons 6 team. This entry was posted in Latest News on March 26, 2017 by admin.